We translate over 100 language combinations including Italian to English and English to Italian translation services. In fact, it is among our top requested language translation. Our Italian translation services are trusted by businesses, government institutions and individuals in Sydney. The Italian language is used by more than 57.7 million people in Italy alone and around 64 million individuals worldwide. It is the official language of Italy, Vatican, San Marino, Switzerland and other parts of Croatia and Slovenia. Our Italian translators are NAATI certified and capable of producing translations at a fast turnaround. We match your projects to Italian NAATI translators according to some factors including area of expertise, certifications, specialisation, knowledge and experience. We make sure that your Italian translation will read just as good or even better than the original document. Sydney Translations guarantee that your translations are accepted by Australian authorities in need of NAATI translations. In addition, our Italian translations undergo several proofreading to ensure the accuracy. In today’s modern world, accurate, fast, trusted and certified Italian translation services are a luxury. As a translation company providing Italian translation services for 7 years with professional translating experience, we have a proven track record and reputation. We always aim to provide the best to our clients. Over the years, we have produced hundreds of accurate and high-quality Italian translations for hundreds of happy clients. Our project managers and Italian NAATI translators have worked together to finish translations rapidly and accurately. We only employ human translators who are experts in their own specialisations, and have gained years of experience in the translation industry, all committed and experienced in Australia’s high standards. Each one of our translators are fluent in English and Italian vocabulary, knowledgeable of industry terminology, nuances, common phrases and culture of both languages. All of these contribute to accurate translations that carry the message and meaning of the source material. Our Italian NAATI translators are capable of completing a translation at a quick turnaround. We have Instant and Express translations where you will receive your completed document within 24 hours. On the other hand, our translators can finish your translation in 2 to 3 business days with our Standard Italian translation services. Standard documents are priced at a per page rate starting at $69 while corporate documents are rated on a per word basis. Get an instant quote by simply filling in your details on the online free quotation form you see on this page. Don’t forget to attach a copy of your document. We will get back to you within 15 minutes through email. We have customer service representatives available 24/7 to answer any of your questions and assist you. Feel free to contact us via the online form and Live Chat. We’ll be happy to assist you. 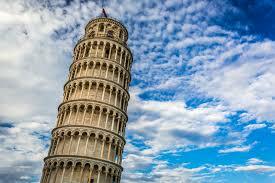 Italy is well known for its stunning architecture, delicious food and rich history. The famous figures Michelangelo and Leonardo da Vinci have come from this country. Here are some surprising and interesting facts about the Italian language. Until 1861, the Italian language hasn’t been standardised. Only 2.5% of the country’s population could use what is known today as a standard Italian. The Italian alphabet only has 21 letters. Compared to the English language, it doesn’t have the j, k, w, x and y letters. The oldest Italian documents were written more than 1000 years old. Classical music uses the Italian language as its official language.